Hit the road with comfort and pride in this adidas LA Galaxy climawarm Travel pullover hoodie! 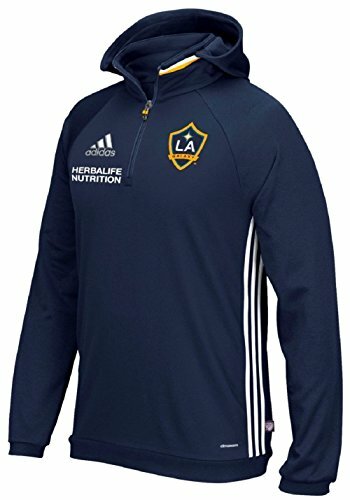 The eye-catching embroidered graphics on this hoodie will announce your allegiance to your LA Galaxy and its climawarm technology will work to keep you warm through its lightweight, breathable fabric. View More In Track Jackets.